This kit uses acrylic materials and is a simplified product. If you would like a clear and sharp image, we recommend using “soratama 72” which is made out of optical glass. 1）Cut out the flat lid from the rim. Use a cutter to cut the edge. 4）Cut the empty snack container. In order to draw a cutting line, wrap the container with a paper. Use a cutter to cut along the line. Do not put too much pressure. If you cut the container too short, it cannot be used. For this, cut the container long then adjust the length. 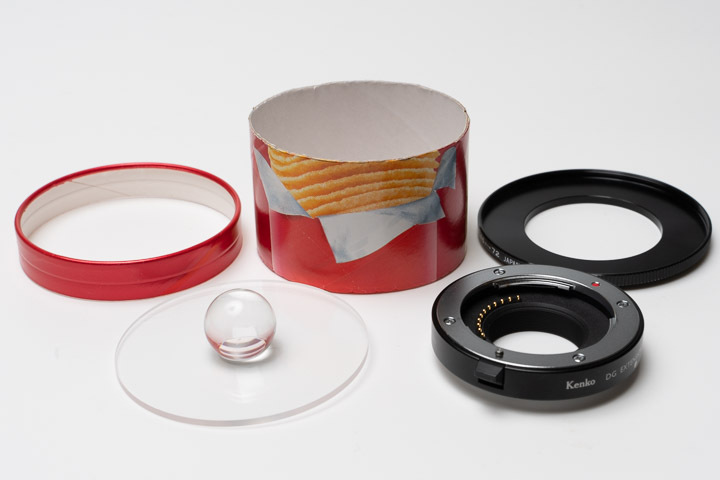 67mm step-up ring can apply to the snack “Chip Star” container’s base. 5）Place the parts in the next order. Container’s lid, soratama, container’s tube part then the step-up ring. Tape the parts for the moment and test shot to see if it is focused correctly and is not vignetted. 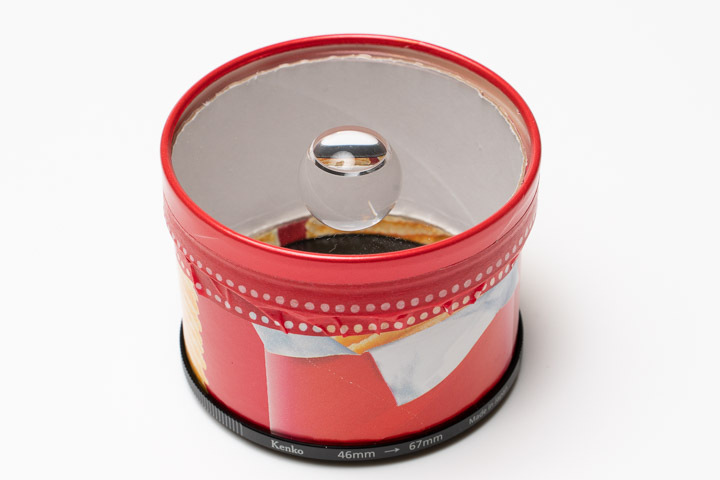 6）If you are satisfied with the test shot, fix the lid tightly onto the lens body. If you used the container’s bottom part, the lid will easily fall off. Wrap some paper or a thin sponge around and make sure the lid does not fall off. Rear row from the left >> lid of a candy box, tube part of the candy box, step-up ring. 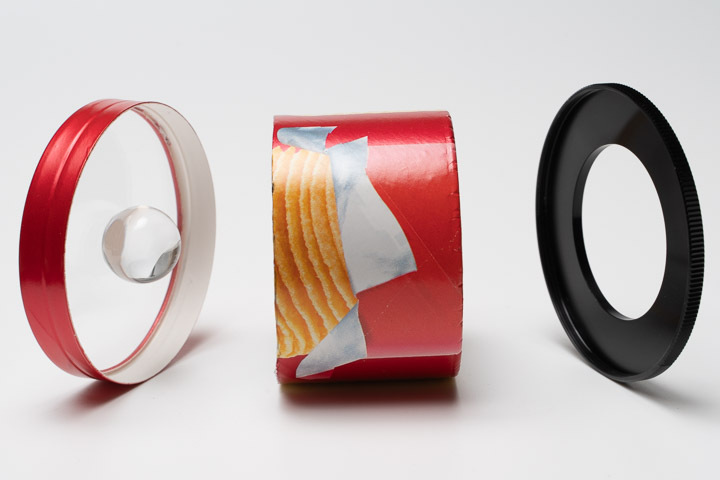 From the left >> soratama on the candy box lid, tube part of the candy box, step-up ring. Combined together. Tape the candy box lid and tube, the tube and step-up ring. Make sure they wouldn’t fall apart. Fixed on to a camera. 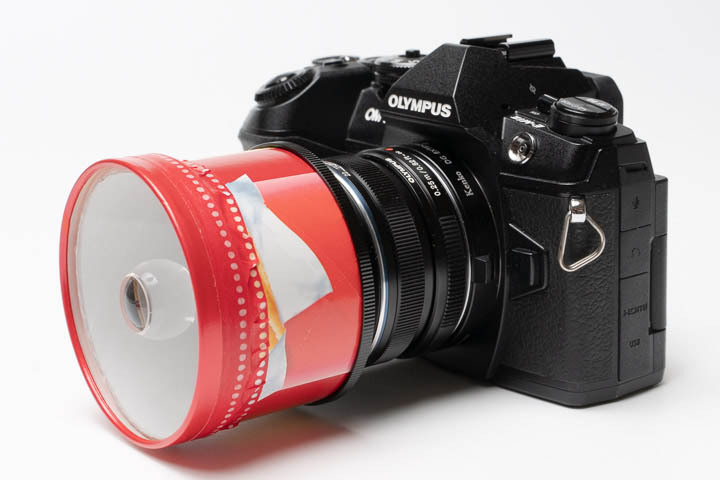 By using a step-up ring, fix on soratama part to your camera. 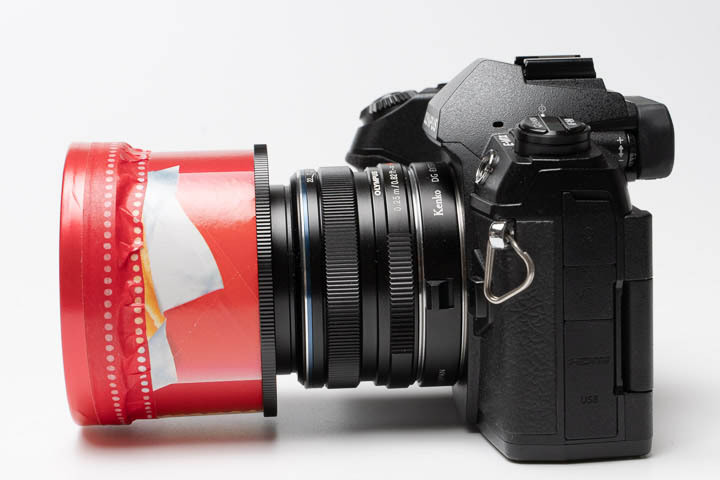 Place a macro extension tube in between lens and the body so you could take macro photography. If you are using a macro lens, you do not need a macro extension tube. →What is a Macro Extension Tube? Step-up ring is used to connect the lens and the tube. Adjust diameter of each end to the lens and the tube size. For the tube side, 67mm will fit perfectly. For example, if the lens diameter is 52mm, use the 52→67mm step-up ring. It is possible to make soratama by yourself using acrylic plate. When drilling a hole on the acrylic plate, screwdriver is very useful. However, there are cases where the plate break apart or get cracks. 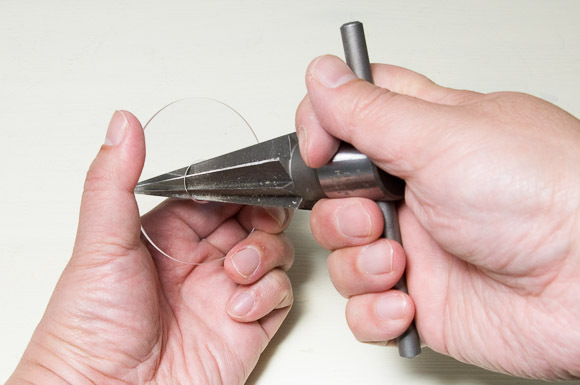 Please use the drill cutting edge for acrylic objects. Also,　reamers are useful to enlarge the hole. If you are using superglue to bond the bulb, the glue will turn white. Please use glues exclusively for acrylic products.